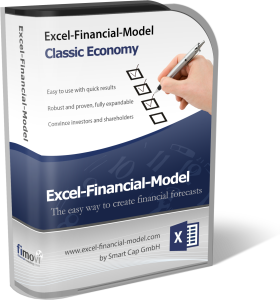 Excel-Financial-Model is a powerful, easy-to-use Excel template to create a fully-integrated P&L, Balance Sheet and Cash Flow model within a very short time. The CE version, specially adapted to the needs of “classic economy” business models, has the flexibility to handle manufacturing, distribution and service businesses. It is suitable for planning new ventures as well as established firms of all sizes. Excel-Financial-Model incorporates comprehensive facilities and features. It is the perfect tool for entrepreneurs and managers with minimal previous experience in financial or business planning as well as for skilled planners, accountants and consultants. Only basic knowledge of Excel is needed to prepare highly professional and presentable projections. Checksum structure delivers error-free financial modelling. Advanced Excel users can enhance and modify all sheets as desired, due to the transparent, flexible and open approach of EFM (unlike other “black box” applications). report to management and/or shareholders, etc.